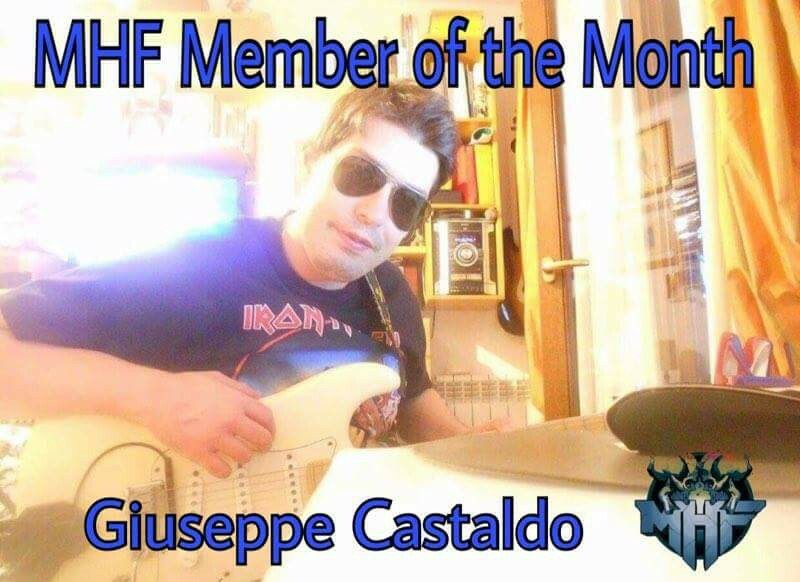 May’s member of the month is Giuseppe Castaldo! Giuseppe is 38 years old, and lives in Rome, Italy. He has been listening to metal since he was 16, when a friend introduced him to Iron Maiden. Giuseppe has many favourite bands, from all over the genre spectrum. Among his favourites are Pantera, Iron Maiden, Judas Priest, Saxon, Scorpions, Accept, Black Sabbath, Destruction, Kreator, Sodom, Helloween, Running Wild, Testament, Metallica, Children of Bodom, Blind Guardian, Mötörhead, Megadeth, Metal Church, Overkill, and Savatage. Congratulations on the title, it’s well deserved, and thank you for your time and dedication to Metalheads Forever!